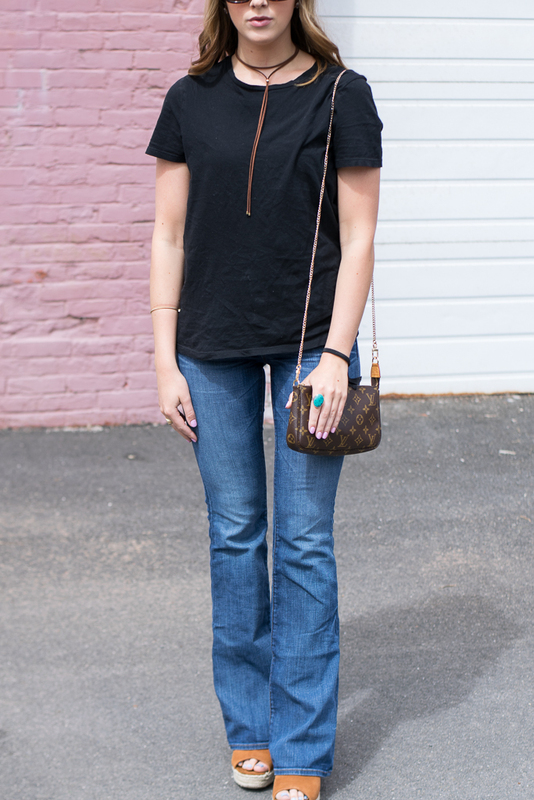 I've had this pair of jeans in my closet for a while and couldn't for the life of me figure out how to style them. They were too long to wear with any flats & looked ridiculous with a heel so I was stumped. I then decided I would try them with my favorite wedges & love the way they look. I think a flare style pant is so flattering on most body types, it makes your legs look 10 times longer & gives you some nice curves. If you're a little timid trying out this flare denim trend I would suggest starting with a small flare and not something too crazy. 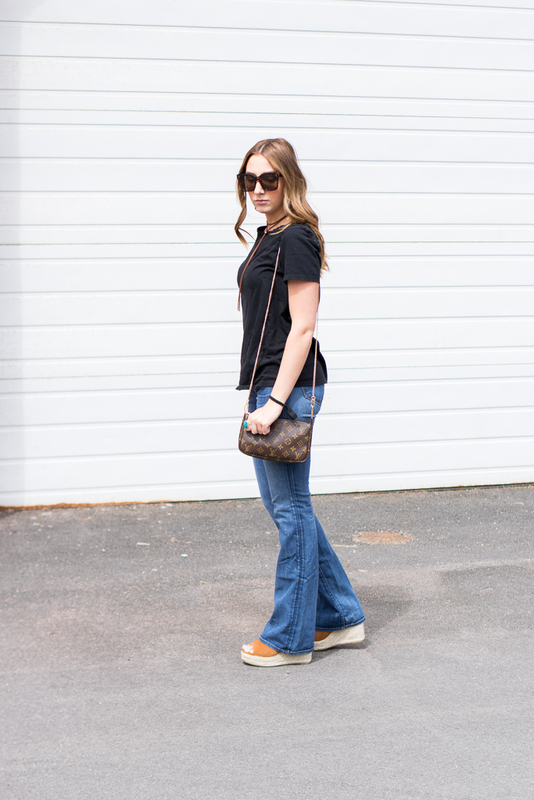 Now that I know how to style these jeans I want to order a few pairs that are a wider flare! 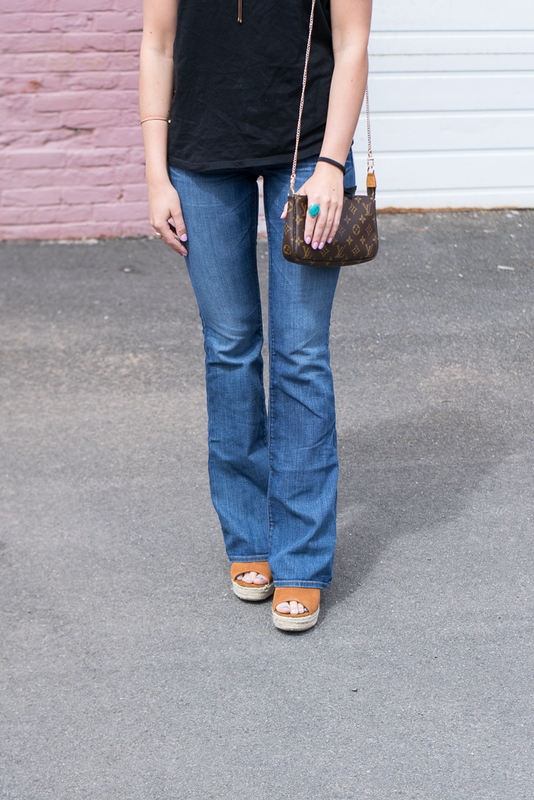 Things I would watch out for when purchasing flare denim would be the fit near the knee, and the length. 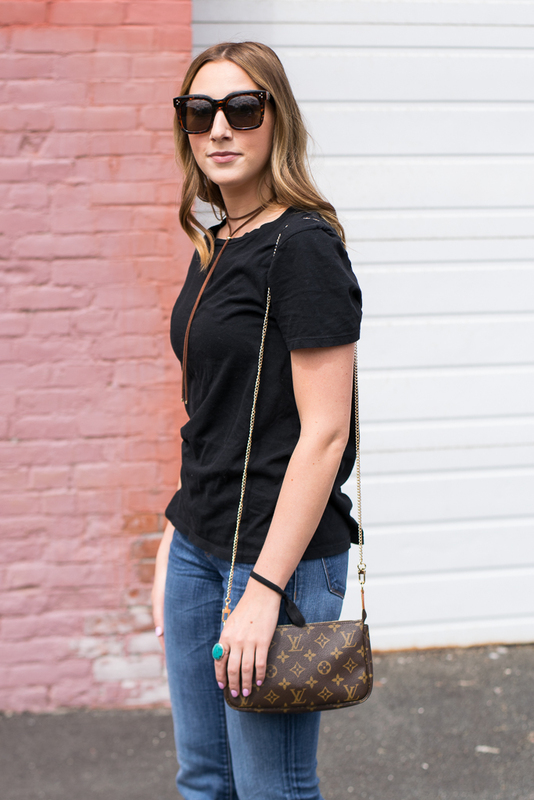 You don't want something that's loose in the knees because it will will make your thighs look much larger and you don't want too short of an inseam because that will make you look short and squat, not cute! 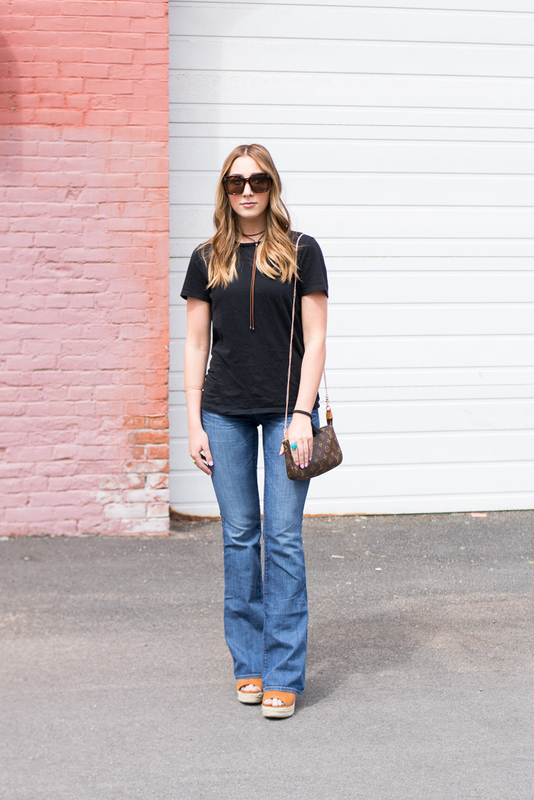 The best part about a pair of flare denim // is you don't need to worry about what to pair them with in terms of tops. 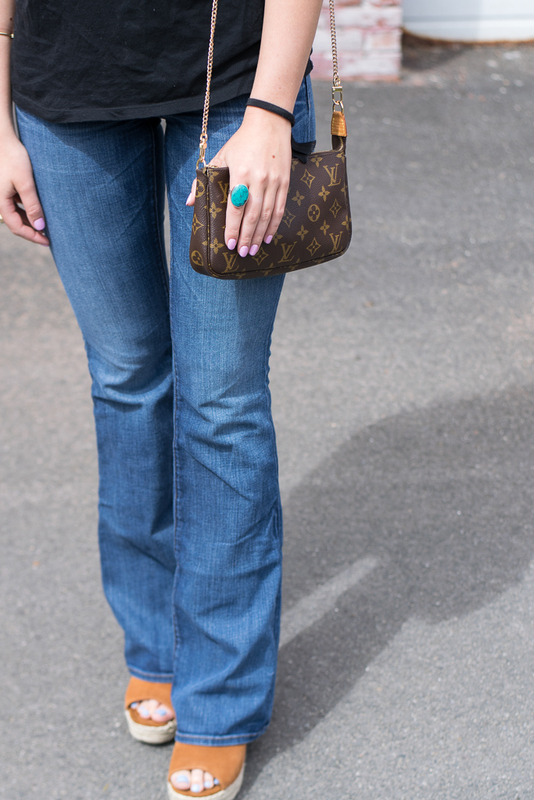 Since the denim is pretty dramatic it looks great paired with just a simple tee and some cute accessories. 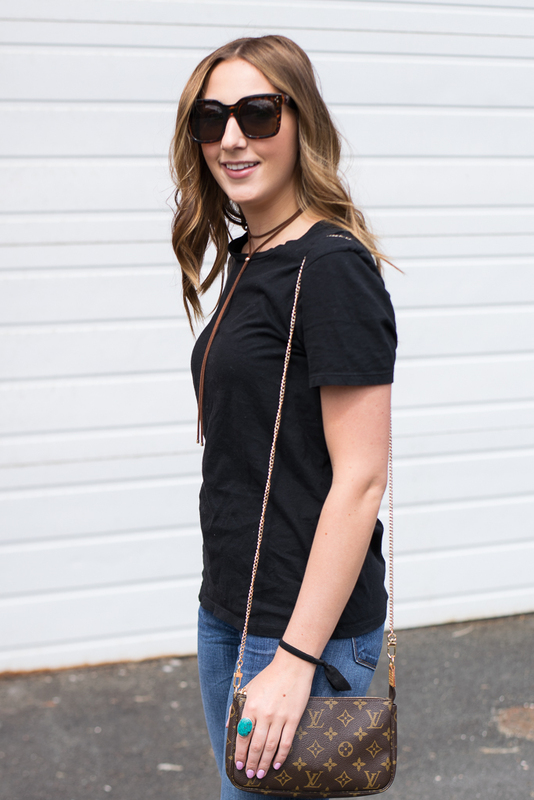 I'm going to link some great denim options at different price points, some are under $40!